(NaturalNews) By now, Americans are aware that breast cancer exists, thanks to the pink color-branding marketed by the Susan G. Komen Foundation. The foundation has literally "pink washed" the entire month of October, routinely partnering with outside organizations to sell products and raise money for their pink marketing machine, which primarily pays high salary executives, marketers and pharmaceutical sponsors. According to Charity Navigator, the Foundation spent $18,394,170 in 2013 on administration expenses alone, allotting $560,896 to Founder and CEO Nancy Brinker and $606,461 to President Elizabeth Thompson. Sadly, all the pink hype provides virtually no education on the environmental toxins and heavy metals in the food and water that are directly linked to cancer, and the foundation does nothing to clean the world of these cancer-causing substances. The money does not go into the hands of actual cancer patients to help them make informed decisions on treatment, clean water, better nutrition and cellular detoxification; the money feeds the cancer management industry instead of helping people empower their own immune systems. Now, the Susan G. Komen Foundation is arrogantly partnering with one of the very industries that pump cancer-causing chemicals straight into the ground -- the fracking industry. The Susan G. Komen Foundation has just entered into a yearlong partnership with Baker Hughes, a Houston-based oil field services company. 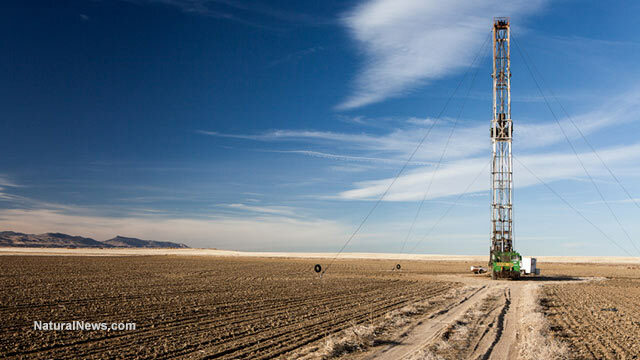 The company uses a method of drilling called hydraulic fracturing. This method of drilling oil uses a myriad of toxic chemicals to efficiently pump oil out of the ground. The list of chemicals is long and causes reactions that have unforeseen consequences. The main ingredients include an acid which reacts with minerals present in the Earth to create salts, water and neutralized carbon dioxide. The mix also uses a biocide, killing bacteria in the process, which could be contributing to mutating bacteria strains in the environment. A surfactant is also used; these are usually disruptive to human endocrine systems. The chemical concoction also utilizes a breaker, a cross linker and a gel to make it easier for the fluid to flow through the borehole. The reaction produces ammonia and sulfate salts. The Los Angeles Times reported on a recent government study that showed how "some workers at oil and gas sites where fracking occurs are routinely exposed to high levels of benzene," a carcinogen. What's really gimmicky about the whole partnership is that Baker Hughes is set to sell 1,000 pink-painted drill bits to remind the masses "of the importance of supporting research, treatment, screening and education to help find the cures for this disease." After the masses buy into the facade, Baker Hughes pledges to donate $100,000 of the proceeds of the pink drill bits back to the Komen Foundation. Hughes' gimmicky fundraising catchphrase is, "Do your bit to support Komen by making a donation today." Advocacy group Breast Cancer Action, sees right through the pink washing, calling the pink drill bit this year's "most ludicrous piece of pink sh*t."
"With all the toxic chemicals Baker Hughes is pumping into the ground, we thought they didn't care about women's health," said Karuna Jaggar, Breast Cancer Action's executive director. "However, this partnership with Komen makes it clear where both organizations stand on this issue." While a direct link between fracking and breast cancer cannot be made, those who understand the cumulative effects of chemical toxicity on the body will agree: Cells and human DNA were never meant to be exposed to so many disruptions. For the Susan Komen Foundation to be taken seriously, they should begin to reconsider their partnerships with chemical industries, and they should reevaluate where their money goes. In the meantime, all their pink washing is nothing more than a show, a sad facade.